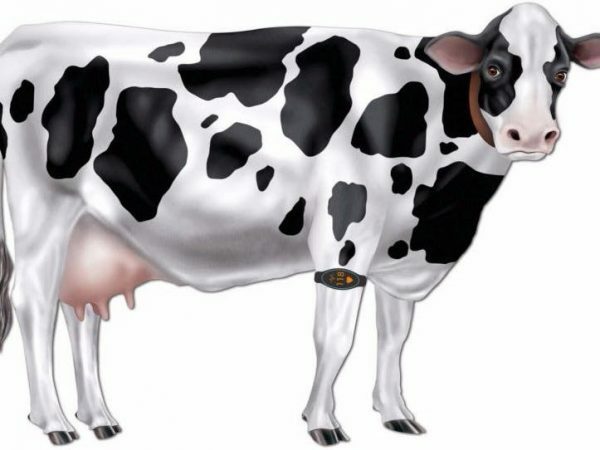 CowBit: FitBit for Cows @Raspberry_Pi #PiDay #RaspberryPi « Adafruit Industries – Makers, hackers, artists, designers and engineers! Fitbit for cows. Health tracking device for maximizing dairy cow milk production. It is of critical importance for the farmers that have dairy milk production cows to know the exact day and hour their cows have an estrous cycle period, which indicates that the animal is ready for insemination. Usually this is done by monitoring the cows for various physical signs. If the farmer misses the day then the cow will not get pregnant and this will result in no milk production for around 20 days. Thankfully, when the cows have an estrous cycle, they start running here and there like crazy and generally speaking they are more active. This activity can be detected with a small device that measures the steps a cow takes on a daily basis and when it exceeds them, the farmer will know that it is ready for insemination. The device can be a very tiny device (in the size of a smartwatch) that contains an acceleration sensor, a small battery and a tiny processor. The device should be able to do very simple mathematical calculations in order to detect a step. Such device can also be worn either on the foot of the cow or in the head or neck. Also, if we have a farm that has 1000 cows being monitored by such devices, there is somehow a need to upload their data to the cloud. Obviously it is impossible to install a GSM modem in every device as the cost of the device will go up quite a lot. In order to solve that problem, the devices will need to connect in other nearby devices that have internet connection. These devices will act like Access Points although they will play a slightly different role.